Contemporary art event are usually centered in urban settings, attracting an elite audience. Needless to say,this elite group is the most inclined to take part and contribute, intellectually as well as monetarily. This leaves a large, mostly rural, audience from being informed on contemporary photo-art, its practices, practitioners and aesthetics. We come from a tradition that integrated art as a part of everyday life. Interestingly, the invaluable bronze/stone sculptures, architectural marvels and the temple art paintings have become objects of admiration, reverence and worship, rather than being remembered as expressions of different cultures. This parody probably makes it all the more important for art initiatives to be centered in rural settings, not only so that the majority of the public can be reached, but also to help the people to look at their history and their present with renewed vigour. 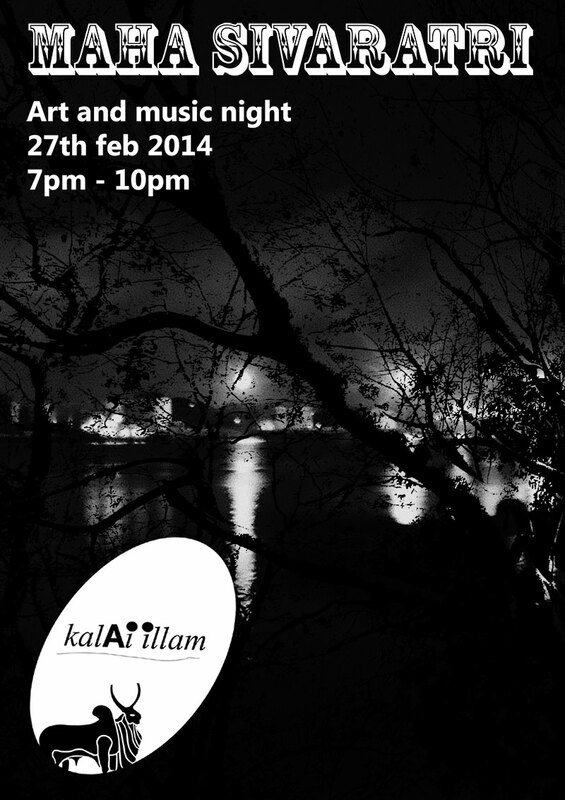 Kalai Illam, a dedicated rural space for art was set up by EtP in Tiruvannamalai, and many projects targeting the local audience were undertaken during the period 2013 – 2016. Film screenings, audio-video projections, interactions with artists, exhibitions and other participatorysessions were organized on a regular basis. Photography and Beyond, a series of shows that explored the connection between photography and other art forms were organized over a year. This included three solo shows by Indian photographer Abul Kalam Azad, Indian based Switzerland Christian Uhlmann and Indian artist Ganeshbabu Chembayil. 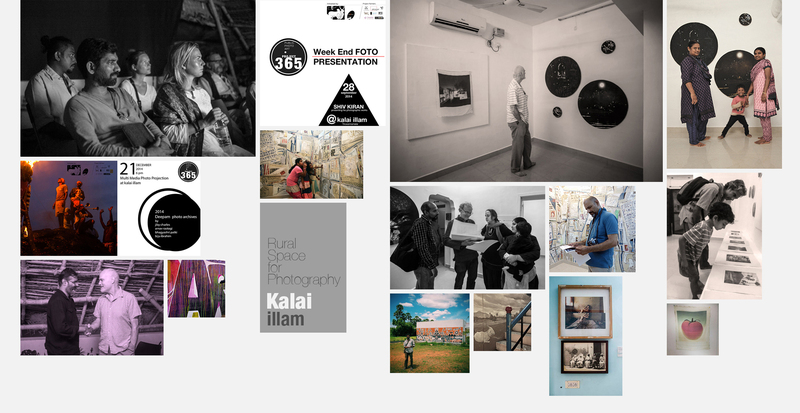 Mukhamukham – Face to Face with photographers, featured experienced photographers AbulKalam Azad, Prasanth Panjiar, RR Srinivasan and many others, each speaking about their life and work, followed by audience interaction. A special event for the third genders was organized, during which a screening of images shot during the Koovagam festival was done. The events initially attracted only a few, but eventually had quite a few interested enthusiasts who regularly filled the seats. Having successfully experimented such a novel idea, at present, Kalai Illam is closed for public as we are in the process of setting up a permanent place. 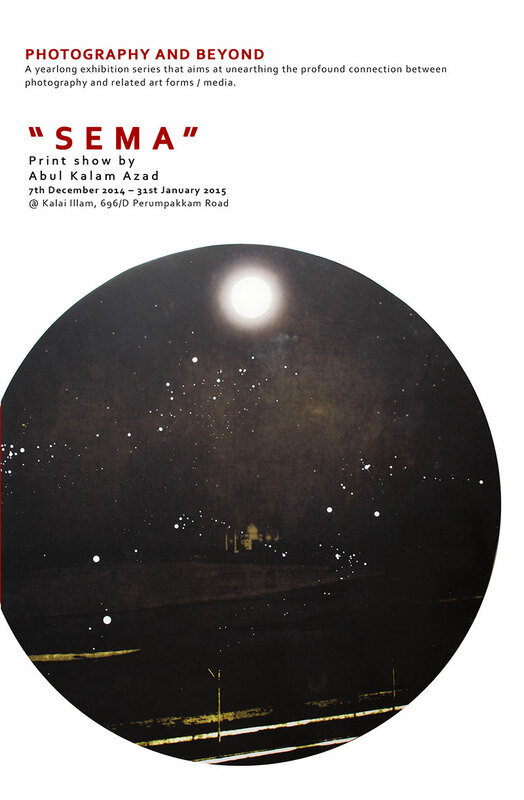 The Photography & Beyond exhibition series ended with a solo show of Abul Kalam Azad. Continuing his experimental works, the artist had fused found litho prints and archival pigment prints on painted hardwood. Digital prints on silk were also showcased for the public. Mukhamukham, face to face with artists events were held weekly. Video screenings and films on photography and photographers were also organized for the public. 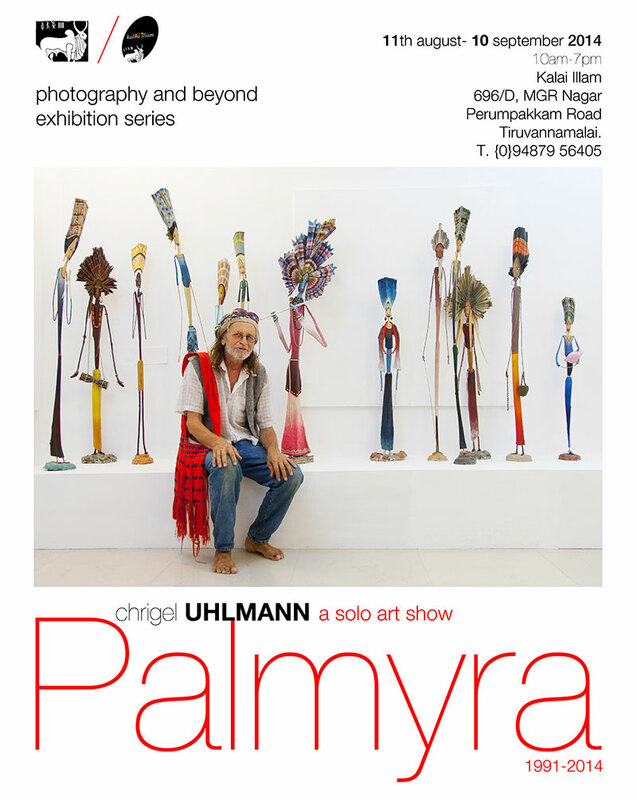 Palm leaf sculptures and paintings of Christian Uhlmann were exhibited. Christian is a Switzerland-born amateur artist who has been living in India since 1993. 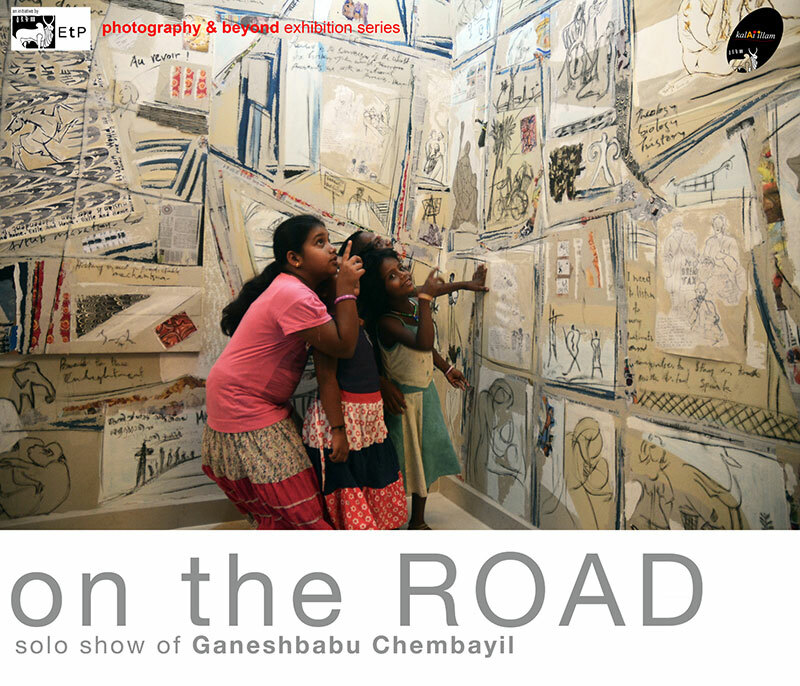 An autobiographical exhibit in which Indian artist Ganeshbabu Chembayil had mixed photographs, texts and drawings and directly applied it on the wall space of KalaiIllam. The exhibit was made in a format which does not fit current market norms, and was intended as a non-commercial work.